I asked fans of the radmegan facebook page what sorts of recipes they would like to see on this blog. A handful of people requested quinoa recipes, and since it was 90 degrees in Los Angeles yesterday, a nice cool quinoa salad was the perfect meal. Thank you facebook fans for suggesting this instead of a slow-cooked stew! 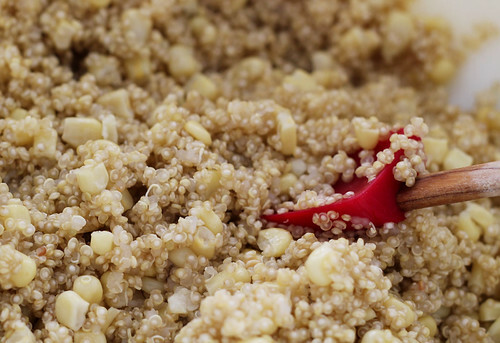 We cook with quinoa at home when we are looking for an alternative to rice, pasta or potatoes. It’s often classified as a grain, but really, quinoa is a seed with a very similar nutritional profile to brown rice- only with more protein! The recipe I used was a lime and cilantro quinoa salad, adapted from Gourmet Magazine, Sept. 2007. What I loved about it was the freshness. The recipe called for fresh herbs, fresh tomatoes and limes, and while I used frozen corn, even that had a way of making the meal feel clean, cool, and garden-fresh. 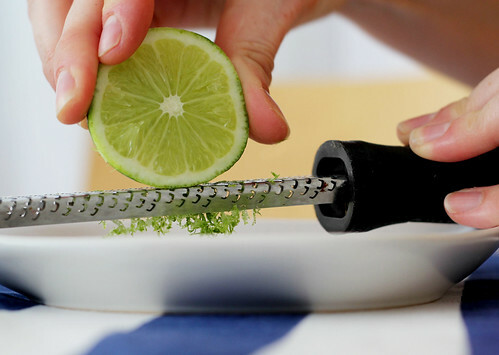 Whisk together the lime zest and lime juice, butter, oil, sugar, 1/2 teaspoon salt, and 1/4 teaspoon pepper in a medium bowl, and set aside. 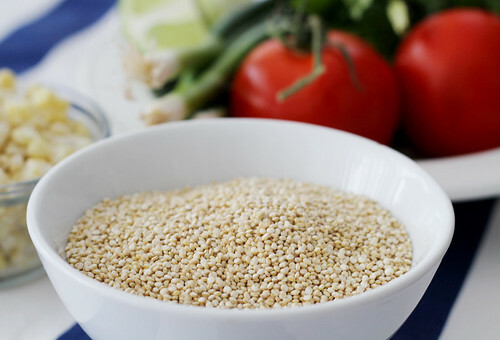 Wash the quinoa in 3 changes of cold water, draining with a sieve each time. Cook the quinoa in a medium pot of boiling, salted water- uncovered, for about 10 minutes. Drain in a sieve, and fold in the corn kernels. Let it stand for about 5 minutes. 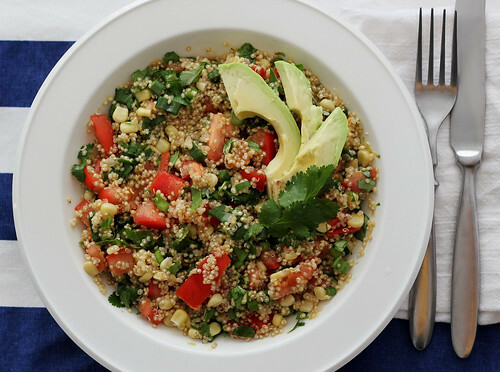 Add the quinoa to the lime dressing and toss together until absorbed, then fold in the tomatoes, scallions, basil, and cilantro. Add salt and pepper to taste, and garnish generously with avocado. Serves 4. 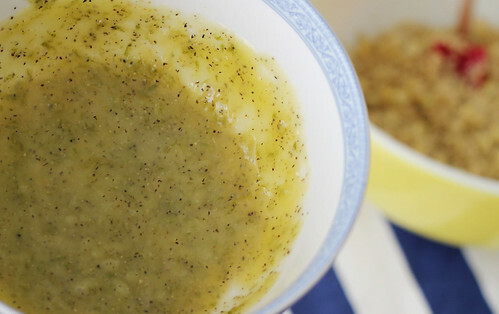 The dressing is zesty, creamy, fresh and wholesome. The tomatoes and corn add a sweetness, while the scallions provide some crunch. 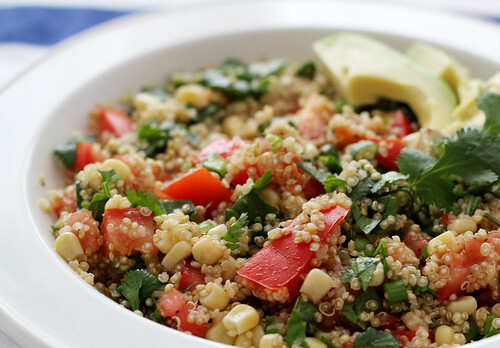 This is a tasty and well-balanced quinoa salad that takes only about 15 minutes to make! Thanks again to my facebook fans for suggesting a quinoa recipe! I really hope you all enjoy this one! I found this recipe on foodgawker and I’m SO excited! I’ve been looking for new ways to use quinoa. This will be my lunch all week! I’m excited to try this recipe, I found it from Pinterest! I’ve found when I make quinoa if I don’t rinse it but sautee it with a little oil (and onions- optional) for a few minutes then use stock instead of water it has a much better taste. I’m excited to try the lime and cilantro combo! Thanks so much you guys! Hooray for foodgawker and Pinterest! This recipe is SOOOO GOOOD! I hope you all enjoy! Thanks for stopping by and leaving such nice comments!! I made this last night, it is fantastic! Love that limey zing.